You may, instead of the form, write a letter to the Commission that includes your name, address, and telephone number; the name, address, and telephone number of the attorney in question, together with a description of the complaint. Receipt of complaint will be acknowledge by the Commission within a reasonable length of time. 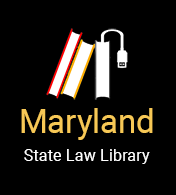 The Attorney Grievance Committee of Maryland investigates consumer complaints about attorneys, takes disciplinary action against attorneys for violations of Maryland Rules of Professional Conduct, and protects the public from attorneys who fail to maintain high standards of profession conduct. This service is strictly disciplinary in nature, and does not include legal representation of the plblic or recovery of attorney's fees. Disciplinary actions range from warnings to disbarment. The Commission does not recover fees or other damages. If an attorney embezzles money from a client, a claim for reimbursement can be filed with the "Client's Security Trust Fund of the Bar of Maryland", 208 Calvert Street, Salisbury, Maryland 21801-2804.